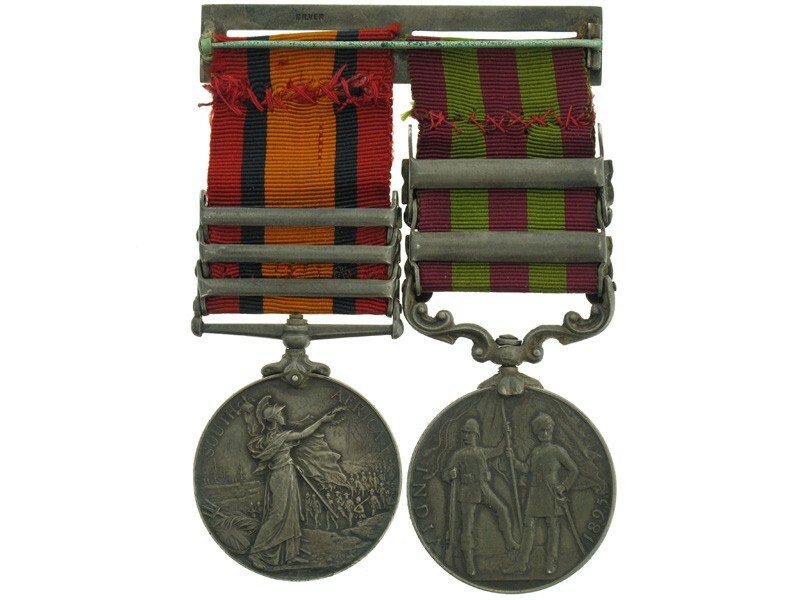 India Medal 1895-1902, with 2 clasps - Tirah 1897-98 and Punjab Frontier 1897-98. (4309 Pte J.Thorne. 1st Bn Ryl Surr Regt.) British Army engraved, dark patina, crisp edging, no bruising, in extremely fine condition. 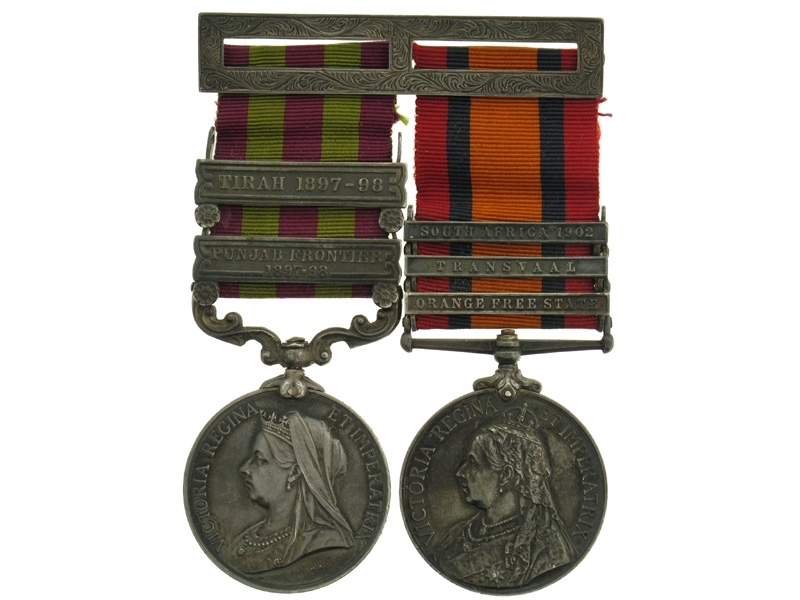 Queen?s South Africa Medal 1899-1902, with 3 clasps - South Africa 1902, Transvaal, and Orange Free State. (4309 PTE J. THORNE. THE QUEEN?S.) British Army impressed, strong patina, crisp edging, and therefore in very fine condition. Private Medal Bar - in silver, hallmarked.